Having enjoyed crafting and creating for many years I've been wanting to try creating a blog so that I could share my craft with others. I love to share ideas and get ideas from fellow crafters. Although I may not be the best at creative writing I've decided to try and give it a whirl. I hope I can share my passion with you for years to come. 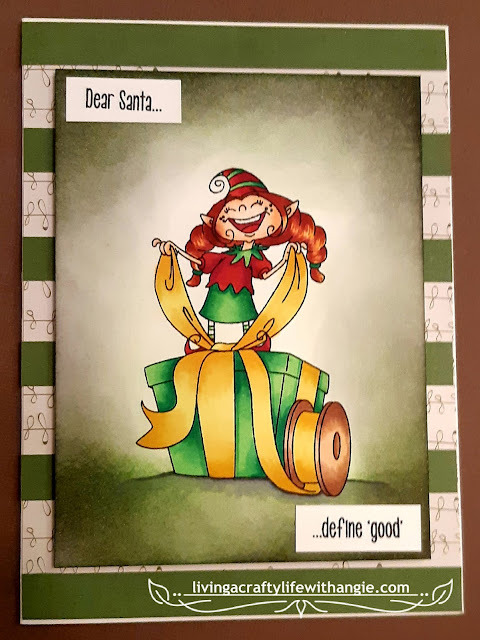 Today i'm sharing with you a card I created as part of the Scrap of Paradise design team using the Photoplay Oh Canada line and stamp set. I colored the moose using Copic markers then fussy cut him out. I use 110lb weight card stock for most of my stamped images as they hold up better. 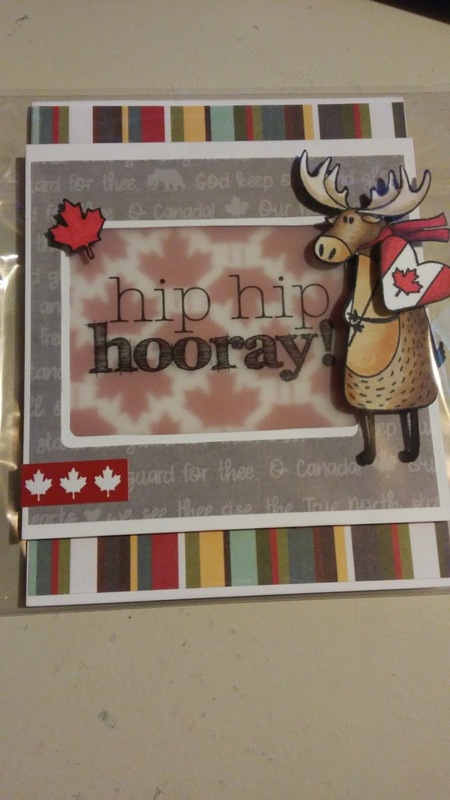 For this moose I also colored the edges of the white cardstock black for a better finish as the white stood out too much. I used a vellum sentiment by core'dinations called Vellum Quotes and Titles Celebrate pack which has 60 different vellum sheets. I placed the vellum in the window which I raised slightly using foam squares over the Canada leaf patterned paper giving the Canada leaves a softer look. To create the window I used the We R memory keepers frame punch board.